Personal Branding is all about self-packaging or self-promotion. In the online context, it is about generating a distinguished Web presence of a person on the Internet. If you’re reading this post you’ve probably done a vanity search, “Googled” your name to see what’s out there. If not go ahead now… I’ll wait. You may just be curious or you may be actively monitoring your online reputation. You may wish to control the impressions other people form about you from what they read on the Web or you may be trying to actively bury a negative story. Whenever a story goes “viral” on the web we are reminded that the way a business or an individual is represented on the Web can have a profound influence on their reputation and success. My children and their peers are growing up as very active participants of the social web. Will what they post to the web in their teen years potentially stay with them for the rest of their lives? Even the most web-savvy teen isn’t thinking that everything they post has the potential to stay up in the cloud indefinitely creating a permanent online record. We know that potential employers will “Google” job applicants. If you manage your online presence you can ensure that you have control over the information they find. The good news is that if they find relevant worthwhile content on the first SERP they aren’t likely to go to subsequent pages. A distraught woman called me, one of her children was having difficulty landing a job because of online information regarding a court case that didn’t reflect well on this young person. There was no way to have the information removed so my advice was to bury the results – to push them off of page one. To do this the individual will need to become active online and create positive mentions of their name that would rise to the top. Set up social media profiles for your name and ensure that the content of these profiles is positive, professional and respectful at all times. You want these results to rise to the top in the searches so use them as tools for positive self-promotion. Get your domain name: If you want to have control over the top search results for your name, own your personal domain. 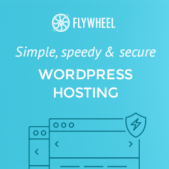 Having a personal domain name is going to become more and more valuable. A domain that is yourname.com will rise to the top of results when your name is searched. Realize that the web is a public sphere. Think about your online reputation when you are interacting online; ensure that you are acting responsibly at all times. A good rule of thumb is not to post pictures or comments online that you wouldn’t want your mother, your future child, or your future employer to see. Protect your privacy. Reputation management is about both controlling what is published about you and keeping private personal information that you don’t want to be made public. Don’t publish your date of birth and other identifying information. Ensure that the answers to your security questions aren’t available online. Keep it professional. Consider having separate business and personal profiles. Use privacy settings for your personal profiles and only accept friendship requests from people you actually know, trust, and are comfortable sharing with. Consider using a pseudonym. If your online activity would reflect poorly on your personal brand consider having two separate identities online. Use a pseudonym so your rude or naughty alter ego can comment, use message forums and other public social media sites without impacting on your personal reputation. Ensure that this pseudonym cannot be connected to your real name. Monitor your name. Set up a Google alert to receive email notification of online mentions of your name/brand. Manage online images. Set up Gravatar with a professional photo that you can update as you age or change your hairstyle. Make sure that images you are tagged in online are flattering. If not, ask the person to remove it. End it all... if your social media activity has become a real problem you may want to consider deleting all your accounts using the Suicide Machine. I hope these tips help you to manage your online reputation. 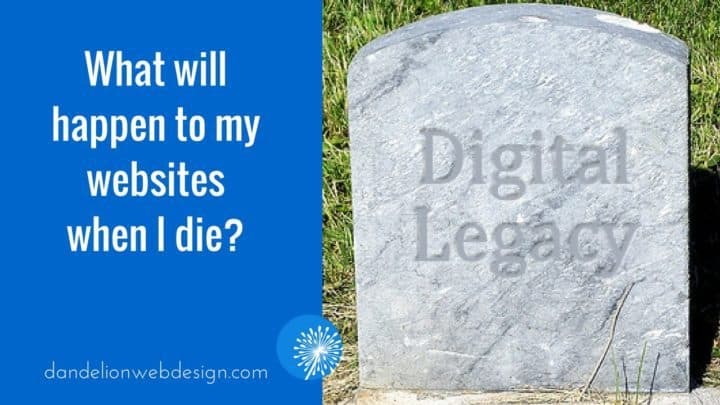 What will happen to my websites when I die? Thanks for the informative post. The underlying message for me is that it is important to PLAN social activity in order to effectively promote your brand. This takes time and thought. I admit that I think about personal brand when I Tweet and use other social media. Your rule of thumb for posting is wise “Would you like your mother to see the comment/post, Tweet?” I didn't know about the Web 2.0 Suicide Machine… do you know anyone who has used it? Good points! I use Google Alerts myself, and am sometimes surprised at where my name gets found. By using it, at least I find out and can deal with problems. Thanks for your comment Dawn. Good to know that you are thinking about your personal brand when you use social media. No I don't know anyone who has committed Web 2.0 suicide… it really runs counter to my whole message of encouraging clients to effectively use social media to drive traffic to their web sites and promote themselves online. Reputation management approach is not all about promises and customer services but it strategically guides a brand in such a way that it delivers on the promise. To put in a different way, it would be like while brands make promises, Reputation Management ensures that these promises are met. Well I never thought this would show up in a Google Alert for my name … apparently Xavier Naidoo who is regarded as the most outstanding German R & B singer of his generation has a song called Ruth Maude!